There are not enough keys on this piano. A piano has 88 keys. This piano has a few less than 88. I can tell without counting every white key, because there are not enough black keys. An 88-key piano has 15 sets of black keys, including the one at the bottom. Going up the scale on a real piano there are, after the one B-Flat/A-sharp at the bottom, 14 more sets of black keys in alternating 2- and 3-key sets. 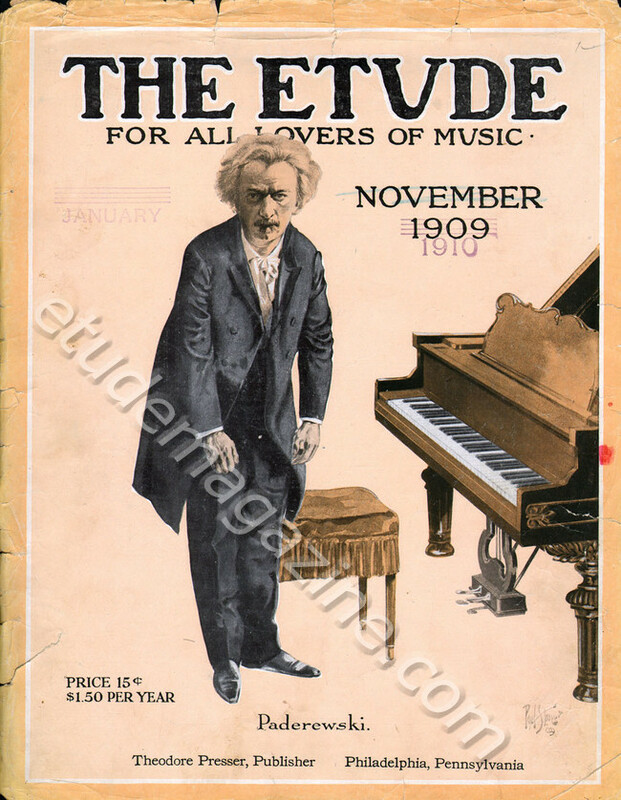 The November, 1909, cover shows only 11, with a 12th set of 2 keys possibly hidden. Even if there is another set at the top there is no way that piano has 88 keys.